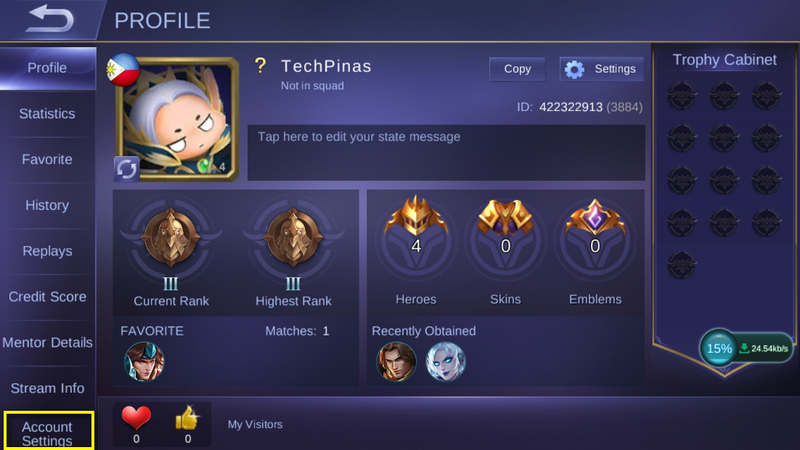 Did you just purchase a brand new Android smartphone and you're now wondering how you can transfer your high-level Mobile Legends Bang Bang account from your old handset to the new one and get all of the heroes you have already bought? Well, I made this blog post specifically for you. Whether your new Android phone is from OPPO, Vivo, Cherry Mobile, Xiaomi, Realme, Samsung, Huawei, Nokia, Asus, Sony, LG, MyPhone, or Cloudfone (name it! 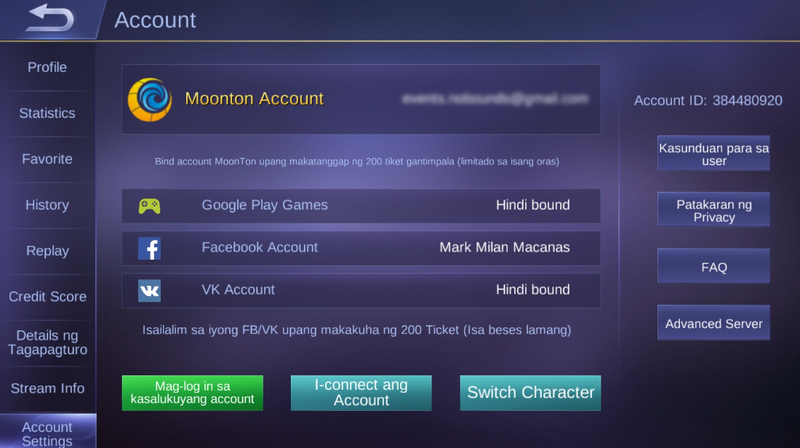 ), the Mobile Legends account switch or transfer process is actually very easy to do. Let me guide you through it. 1. 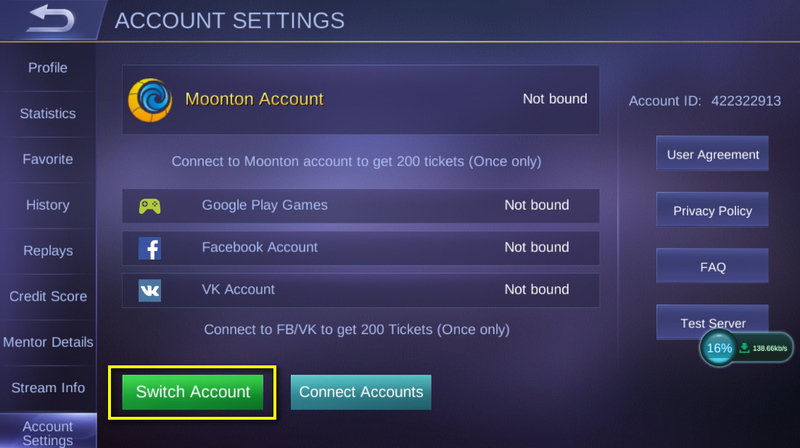 Log-in to your Mobile Legends Bang Bang account and make sure that it is already connected to Google Play, Facebook, or Moonton Account. You can do this by clicking on your profile photo on the upper left corner and going to account settings. I have personally linked by ML account to my Facebook Account, which I personally find more convenient. Note that linking an ML account to any of the accounts I've mentioned often requires you to log-in again and to undergo a quick verification process. 2. 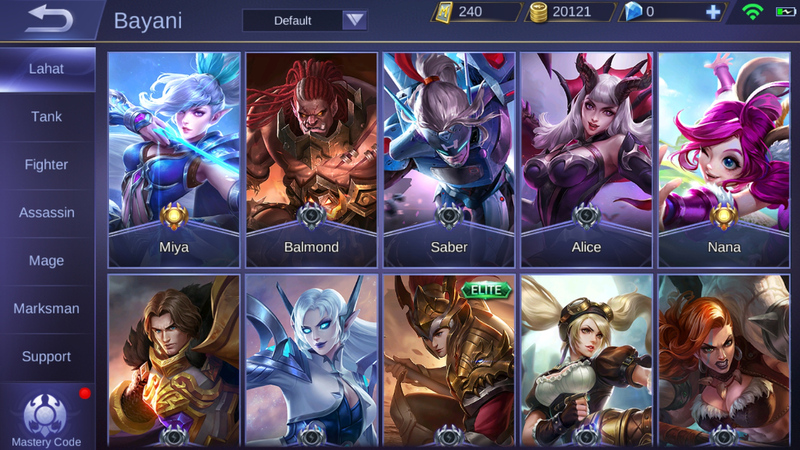 Go to your Heroes page and familiar yourself once again with all of the heroes and skins that you have already purchased. You might already want to write down all of their names as you will need these information eventually. 3. Take note of the exact number of Diamonds that you have already bought. 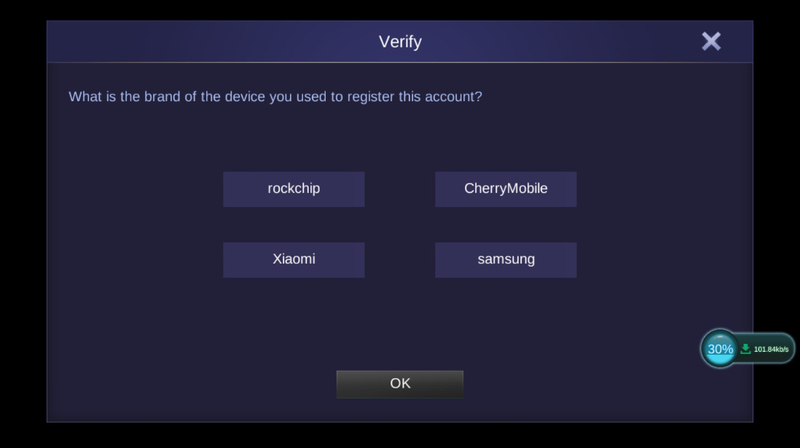 Write down this information because you'll be needing it when verifying your account on the new device. 1. 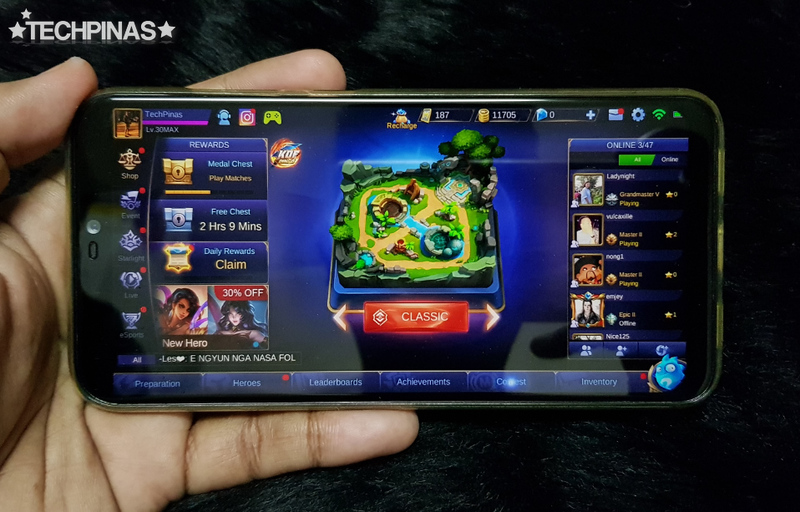 Download Mobile Legends game on your new Android smartphone. 2. Go through the entire installation process and initial set-up, including the part where you'd have to type in a new user name. 3. I believe you'd have to play a couple of demo games before you can access your Profile Settings. 4. Once you're done, click on your Default Profile photo on the upper left corner -- as shown in the yellow box below. 5. Click on "Account Settings" in your Profile located at the bottom left corner. 6. 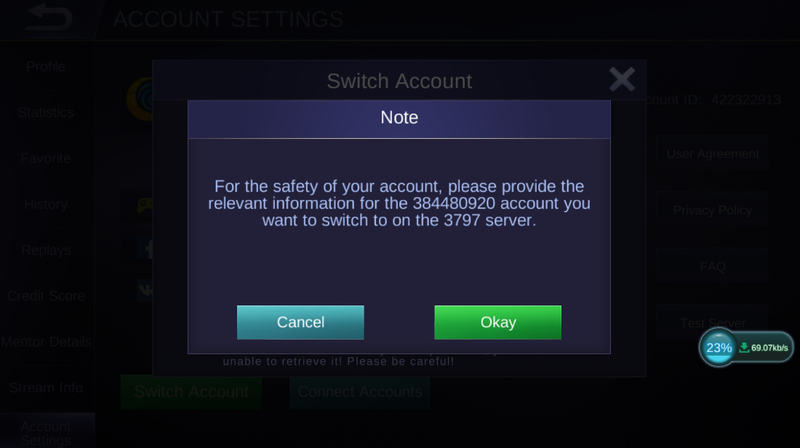 Under Account Settings, click on the Green "Switch Account" button. 7. A notification box will pop up telling you that if you use another social platform for logging in, you would not be able to retrieve your current or new account. Since we actually want to use an old account, just click on "Continue to Login". 8. 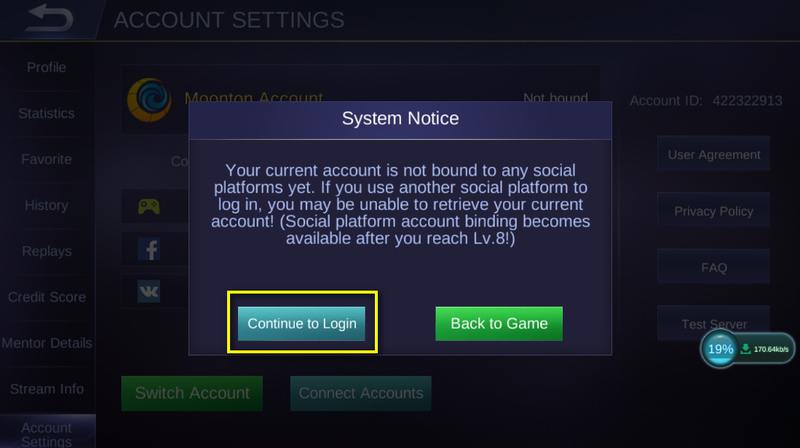 After which, click on the account type where you linked the Mobile Legends Bang Bang account on your old smartphone. In my case, I linked it to my Facebook Account. Note that if you're using Facebook too, make sure that Facebook App is already installed on your new smartphone and you've already logged in to it before making this switch. 9. A notification box will pop up again asking you to give Mobile Legends your consent to see your gender, profile information, and friends list on your Facebook Account. ML will use these info to personalize your in-game experience. If you're good with this, click on the Green "Agree" button. 10. 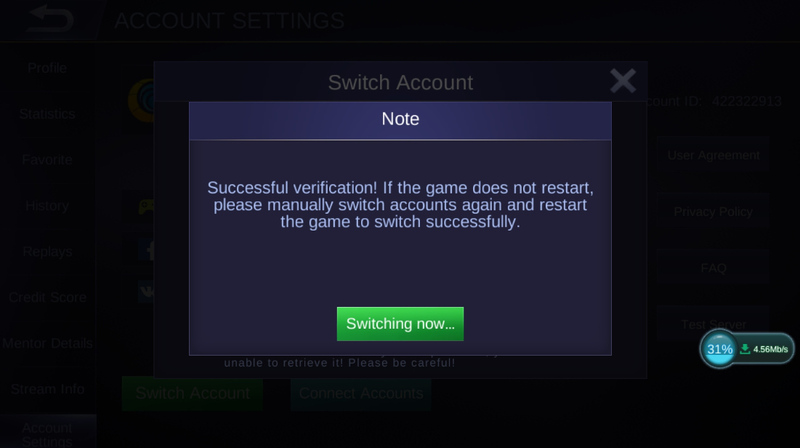 Clicking on the Agree button prompts Mobile Legends to start the verification process for Account Transfer. Just press the "Okay" button on the next pop-up message. 11. In the verification process, you will need the information that I asked you to take note of or write down in the earlier steps. 12. 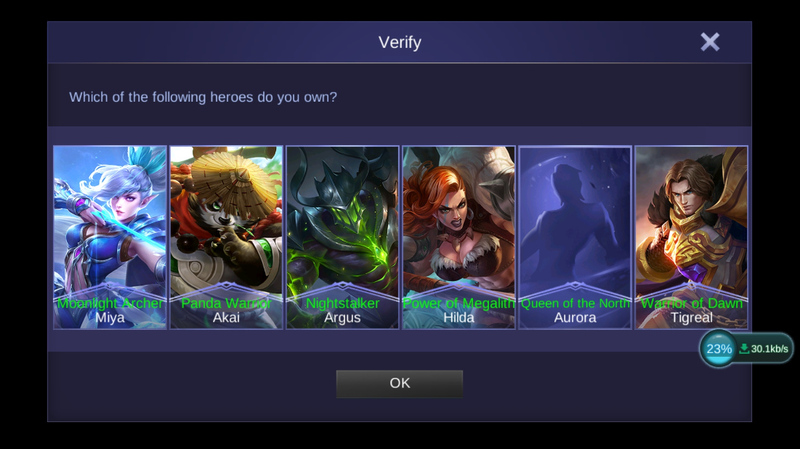 ML will ask you which heroes you already own in your old account. Just click on the correct answers and click "OK". 13. 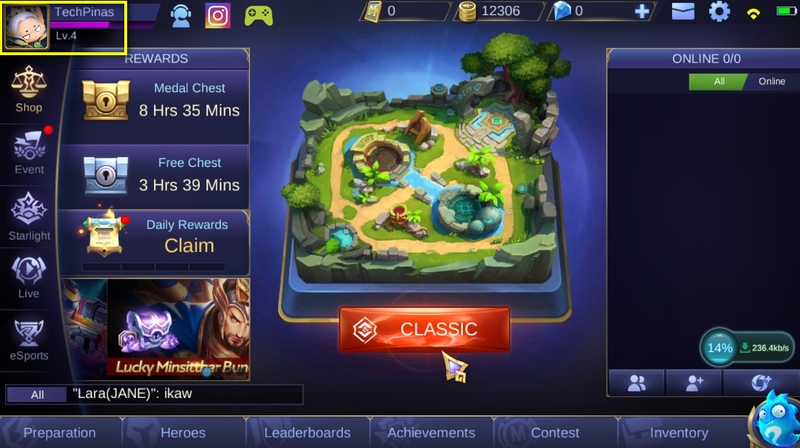 Next, Mobile Legends will ask you how many Diamonds you already have on the account in your old smartphone. Choose the right answer and click OK.
14. ML will also ask you which Hero Skins you have already purchased your old account. Click on the right answers and press OK.
15. 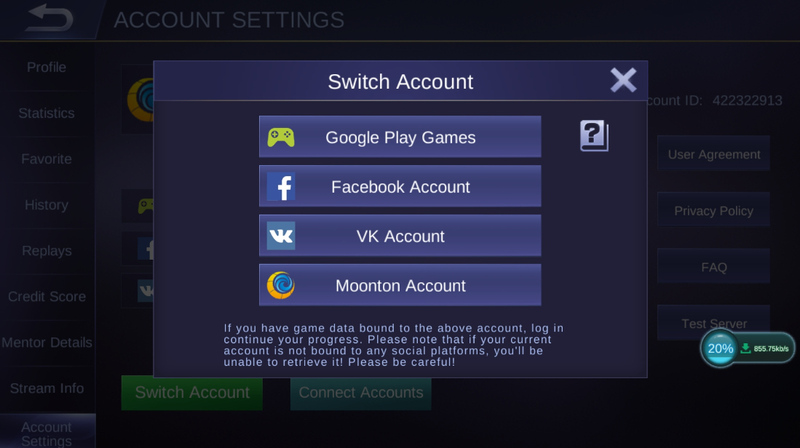 Finally, you will have to tell ML the brand of previous smartphone where you have your high-level Mobile Legends Bang Bang account. If you chose all the correct answers in the verification process, then you would have successfully completed the account transfer! That's it! It's so easy, right? If you found this post useful and informative, don't forget to share it on your social media accounts so your friends can also benefit from it. Oh, if you're wondering, I'm also so much into Mobile Legends these days! My favorite hero is Nana! I love all of her strengths and even her weaknesses. If you want, you can add me so we can play together. My account number is 384480920.